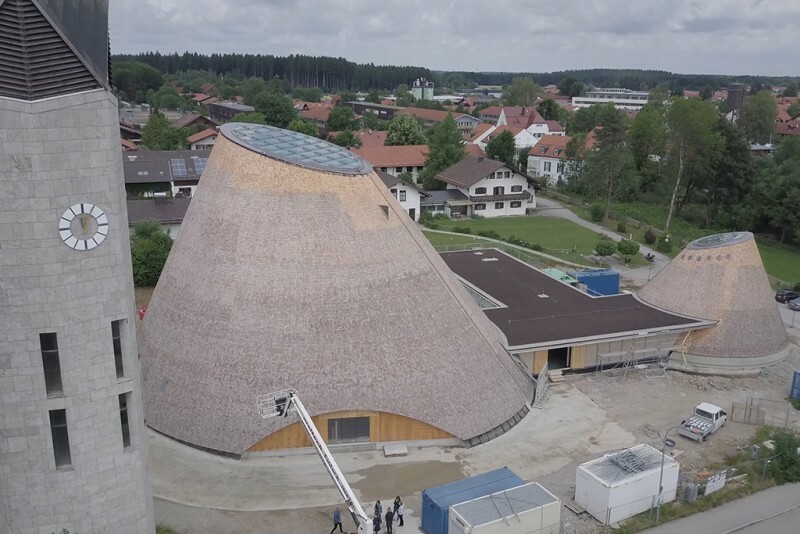 Just bevor completion: Wooden church St. Josef in Holzkirchen nearby München. 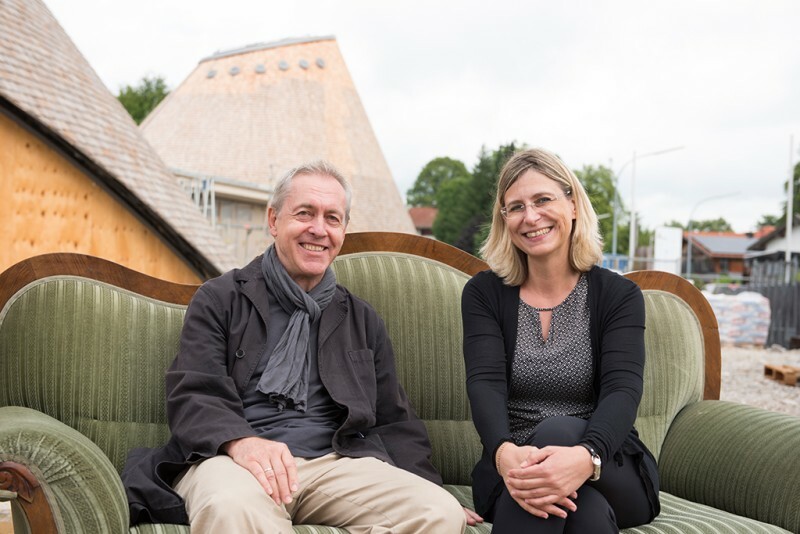 Architect Eberhard Wimmer and Martina Ehrnsperger, Exhibition Director INTERFORST. 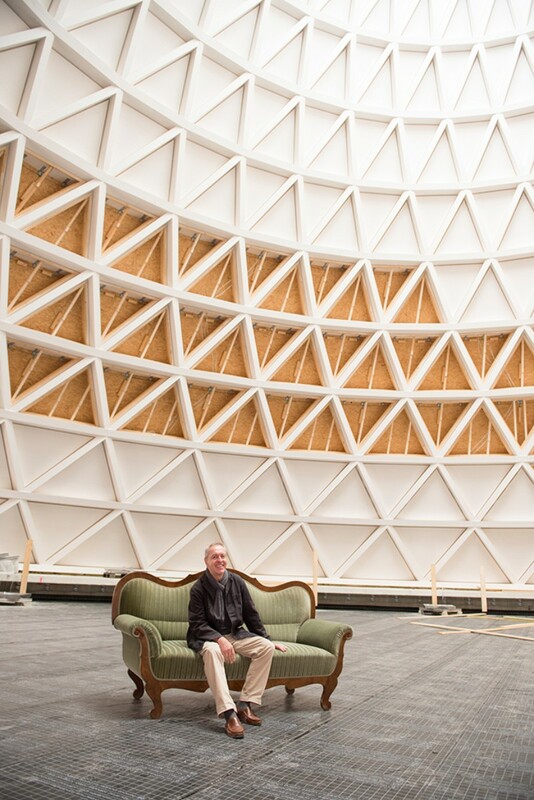 Architect Eberhard Wimmer on the Green Couch of INTERFORST. 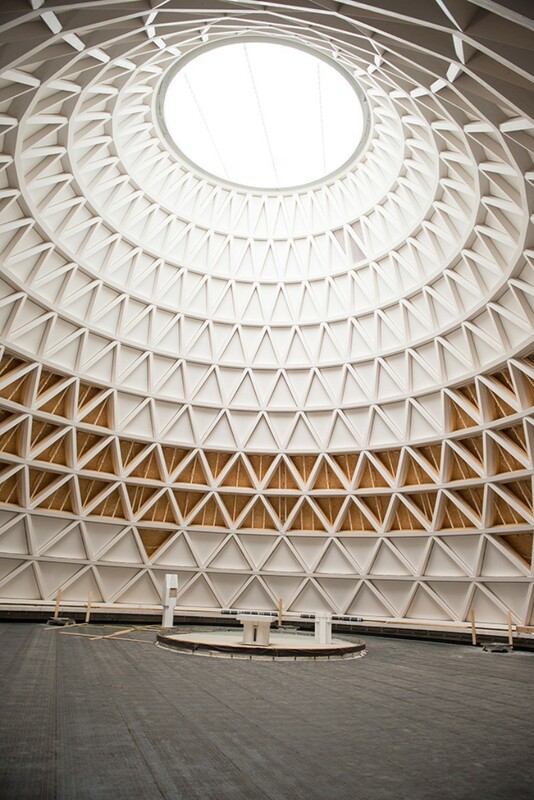 Church made of wood: conical shape gives spectacular perspectives.